Soccer is the world’s most popular sport. The majority of soccer players are under the age of 18. 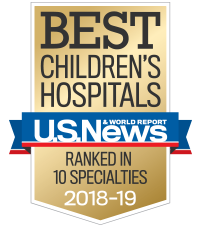 Children's is thrilled to serve as the official pediatric healthcare system and official pediatric sports medicine program for Atlanta United. We know that top athletes deserve top care and our more than 2,000 physicians across 60 different specialties are standing by to support player's healthcare needs on and off the field. This will increase control, accuracy and power, and will decrease chances of back and hip injuries. Contact Jennifer Meyer for more information. Proper kicking mechanics are integral to the health and safety of every young soccer player. As the medical director of Atlanta United Academy, S. Clifton Willimon, MD, knows how to prevent ACL injuries in young athletes and how to help them recover when injury does strike. Dr. Willimon and Children’s physical therapist Jennifer Meyer have compiled this primer on kicking mechanics to help keep your players maintain good form. Proper kicking mechanics begin with your approach to the ball. Before making contact with the ball, you should know where you want the ball to go. Plant your foot with purpose. Foot placement determines where the ball is going. Initiate the kick with trunk rotation. Be careful not to overrotate, which can make the ball miss its target. Swing your upper leg with knee bent to build momentum through ball contact. Keep your ankle locked in position as you strike the ball. Use a flexed foot (dorsiflexion) for passing and accuracy, or a pointed toe (plantarflexion) for power. Follow through to allow yourself to reposition your body for a rebound or to defend. Do not plant your foot with your weight on your heel and your knee extended as you contact the ball. This can cause hyperextension at the knee, which can lead to an ACL injury. Do not overrotate your plant foot on follow-through. Twisting on the knee joint while your foot is planted in the ground is dangerous. Do not allow your knee to fall inward on your plant leg. This motion, also known as knee valgus or knock knees, often leads to ACL injury. Do not kick the ball without first locking your ankle on your kicking leg. Kicking with an unlocked ankle can cause jarring or twisting at the knee and can lead to poor foot placement during follow-through. Do not lean over your plant foot toward your kicking leg. This can cause you to kick the ground. Coaches and trainers should reinforce proper kicking mechanics at every opportunity and make sure to correct poor form whenever possible. Equipping young players with the fundamentals of good form will help them stay on the field, injury-free. *This content has been clinically reviewed by S. Clifton Willimon, MD, and Jennifer Meyer, PT, DPT.